This sealed intake system utilizes an oil-free, large 5" tall conical 360 degree radial flow performance air filter with 3-Layer progressively finer porosity synthetic media for maximum convenience. 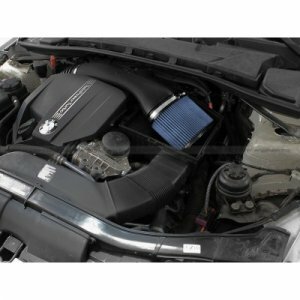 This sealed intake system utilizes a pre-oiled, large 5" tall conical 360 degree radial flow performance air filter with 5-layers of progressive finer mesh cotton media providing maximum airflow and performance. All necessary hardware are included for hassle-free installation. This is a direct bolt-on kit that requires no cutting or drilling on OEM parts.